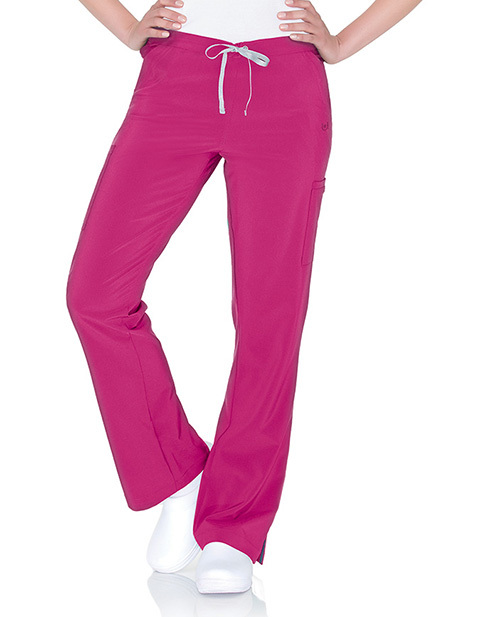 Add vitality to your work shifts with Urbane women's endurance cargo petite scrub pant. Ideal for women with a petite built; get a modern and feminine look. A combination drawstring front and elastic-back waist ensures a custom fit. The two back darts designed to fit curves while staying relaxed through hips and thigh. Moreover, slanted front pockets feature tonal stitching and two cargo pockets and one welt pocket with interior mesh lining ensure optimum efficiency.